"I had got the Cape under me, as much as if I were riding it barebacked. 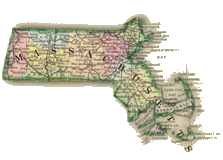 It was not as on the map, or seen from the stage-coach; but there I found it all out of doors, huge and real, Cape Cod!," Cape Cod, p. 72. Learn more about climate change at Cape Cod National Seashore. 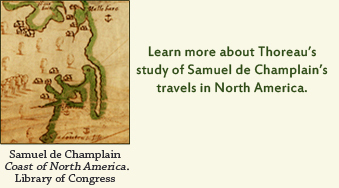 Learn more at the Provincetown Center for Coastal Studies. 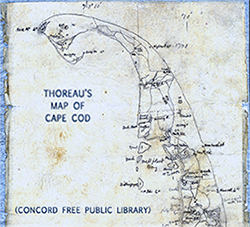 Between 1849 and 1857, Thoreau walked the length of Cape Cod four times, passing through nearly every town on what he famously described as "the bared and bended arm of Massachusetts." Along the way, he recorded a wealth of observations that became the basis for lectures, essays, and, eventually, a book-length travelogue that was published posthumously in 1864. 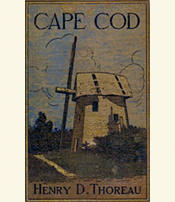 In 1850, in a letter recommending Thoreau as a lyceum speaker, Ralph Waldo Emerson declared that his friend's first Cape Cod lecture was so amusing that "Concord people laughed until they cried, when it was read to them." 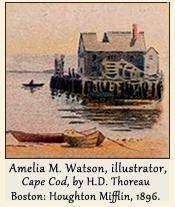 Thoreau's experience with Cape Cod in print was less successful. 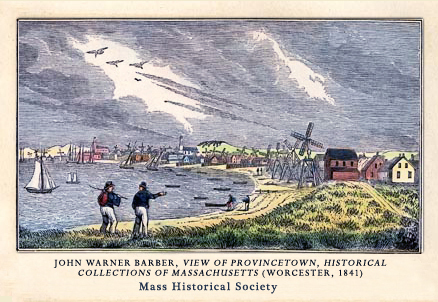 In 1855, two years before his last trip to the Cape, the first four chapters of the book appeared in Putnam's Magazine. 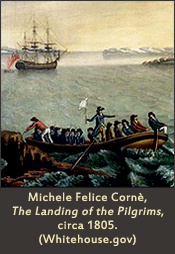 Although a note indicated that the series would continue, no additional chapters followed, perhaps as a result of ongoing differences with the editor, George William Curtis, who had earlier excised a gibe against Catholic priests from Thoreau's account of his excursion to Canada when it was published in Putnam's in 1853. Cape Cod is filled with observations on all manner of phenomena ranging from the resemblance between the sound of Greek and the roar of the ocean to the methods the inhabitants used to stave off the inroads of sand. In line with Thoreau's characteristically eclectic approach to travel writing, the book delves into ethnography, geography, history, botany, cartography, and other fields to explore how where people live shapes who they are and what they do to get a living. 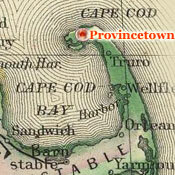 View Thoreau's map of Cape Cod. Explore the Provincetown Art Association and Museum. Make a pilgrimage to the Pilgrim Monument and Museum. Explore Climatetide, a study of climate change and the culture of Cape Cod. Check out the exquisitely restored Provincetown Public Library.